Amit Shah is quite worried about the UP, where 80 seats fall in the scope and presently, UP, Bihar, Jharkhand, Rajasthan, MP, Chhattisgarh and Gujarat, collectively make 225 seats of which 193 seats are under BJP’s control. 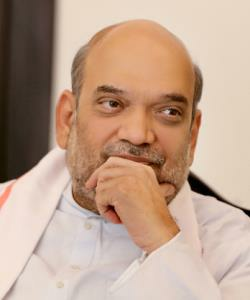 Recently, when Shah conducted a survey regarding governance in UP, he became worried with the results of the survey. The report stated that a lot of ministers of the ruling party in the respective states have had stains of corruption. Corruption is at its peak, and Kumbh is an example of this. At the point of time, when in UPA government the tales of corruption were being written, former PM of India Manmohan Singh was the “Mukhiya” of their party.